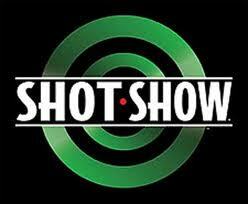 In a mere 22 days, I am headed to SHOT Show with my dear friend and fellow GunDiva, Tara Janzen. Even though I no longer work for the gun shop, the owner is gracious enough to invite me to go every year. I went once as an employee (oh, boy, are there some stories from that Vegas trip) and had a blast. Haven't been back since, so when Tara and I were invited this time around, we jumped on the chance. We'll be going with Boss Man, Army Guy, and the Original Bad Boy. Might be able to get pics of Boss Man and Army Guy, but probably not the Original Bad Boy. Being camera shy has kept him alive a long time. We'll take lots of pictures of the new products coming out and do some reviews of what we see. 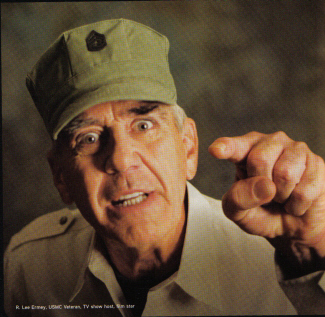 I'm also planning on getting my picture taken with R. Lee Ermey, aka "The Gunny". I met him last time I went at the GLOCK booth, but this time he'll be with SOG Specialty Knives and Tools. He was super nice and not at all intimidating, but I wouldn't want to piss him off. Also on the agenda is USMC Sniper legend Chuck Mawhinney at the Daniel Defense booth. Erik Estrada will also be at one of the booths, but he is not on the agenda. 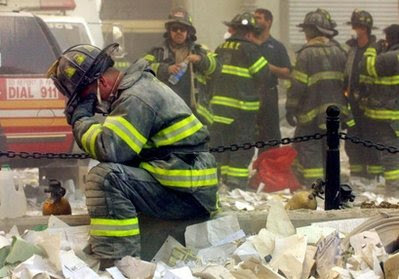 To the memory of my brother and sister fire fighters with FDNY. To the memory of my brother and sister EMTs. To the memory of my brother and sisters with NYPD. 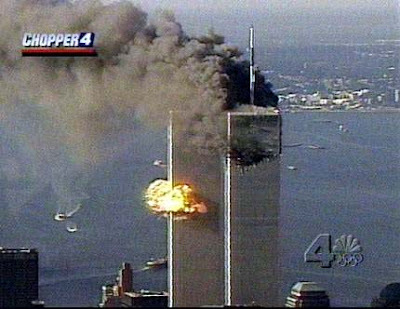 To the memory of those lost. 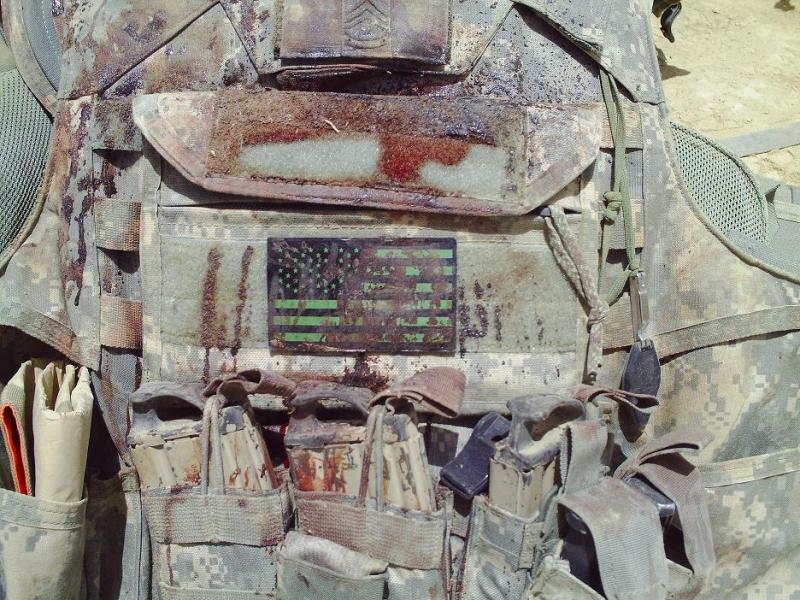 Live Free Or Die, Americans. I have had the greatest weekend so far! Went shooting with Tara on Friday, rode with Monster yesterday, and shot Defensive Pistol today! I'm a bad, bad, bad GunDiva and didn't clean my gun or magazines after shooting Friday. 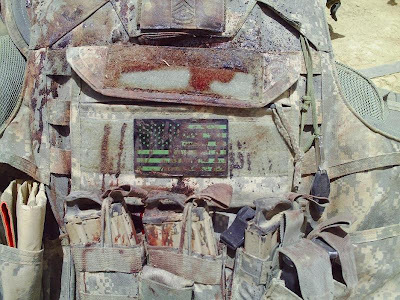 I only ran through about twenty rounds, so I didn't think that I really needed to clean the Para. I also didn't think about cleaning my magazines, because I have to do it so rarely. Funny thing, if you never let them hit the ground, you don't have to worry about dirt build-up. Except...when I did the magazine change video, I put them all on the ground. And then didn't clean them. I'm not sure which contributed to the problems I had at the range today - the dirty gun or the dirty magazines - but I had issues with my gun not going into battery, so I had to smack the back of the slide more times than I should have to get it to go into battery. That said, here are the videos - critique away. I know which errors I made (not cleaning my gun/magazines being the biggest), but I'm interested to hear from some other shooters. The first stage is "Twinkle twinkle" because of the Texas star at the end. We started in position one and had to "slice the pie" from cover, hitting all of our targets with at least two rounds, then move to position two. Since I was shooting from the left, I switched hands and shot left-handed as I sliced the pie. 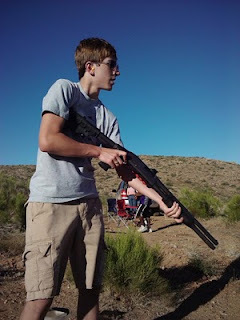 (I'm comfortable shooting either right or left, but that took lots of practice.) After clearing all of the bad guys from the right and left, we had to move to position three, the Texas star. I usually do okay with the star - I don't know anyone who does really well with the star - but chose to take the time penalty instead of wasting time chasing the last arm of the star. In this stage, we had to start from a semi-surrender position (true surrender position would have us facing away from the first target, pivoting and then drawing), shoot the first target from a retention position - just means one handed - as we moved back to cover, then slice the pie to shoot the other targets. Then I had to move to the other side of cover (yes, I switched hands again), shoot the "tires" off of the car and put two in the driver's head. I got a miss because I only put one in his head. Bummer. Lee Lofland, author of the Graveyard Shift, has graciously allowed me to link to his post about Cops and Guns. One of the things that Tara and I do out at the range is practice presenting from the holster. 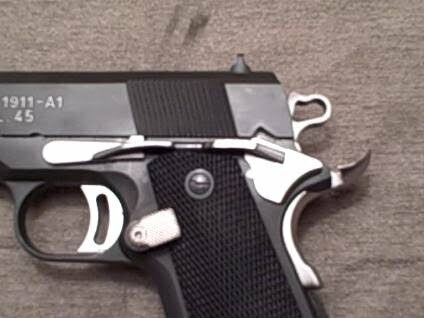 A wise man (well, actually a couple) drilled it into my head that the first step in proper grip begins while the gun is still holstered. Getting a good hold on the gun while it's still holsters ensures that you won't have to do any last minute juggling while trying to find your sight picture. You'll notice in the videos that both Tara and I keep our off hands close to our bodies while drawing from the holster. The reason for that is so that we don't inadvertently cross ourselves with the muzzle. Also, you'll see in my video that there's what looks like a slight hesitation before I bring my gun up. What I'm doing at that time is verifying my target before I bring the gun up into my line of sight. In competition you can hardly notice the hesitation and my draw looks more fluid, but it's pretty pronounced during practice time when I'm trying to be slow and methodical. Tara's draw is smoother, without the hesitation (well, it's there, it's just much less noticeable than mine). However, you'll notice right at the very end of the video that the gun doesn't fit her hand very well and she has to readjust her off hand. This is her son's gun and his hands are slightly bigger than hers. 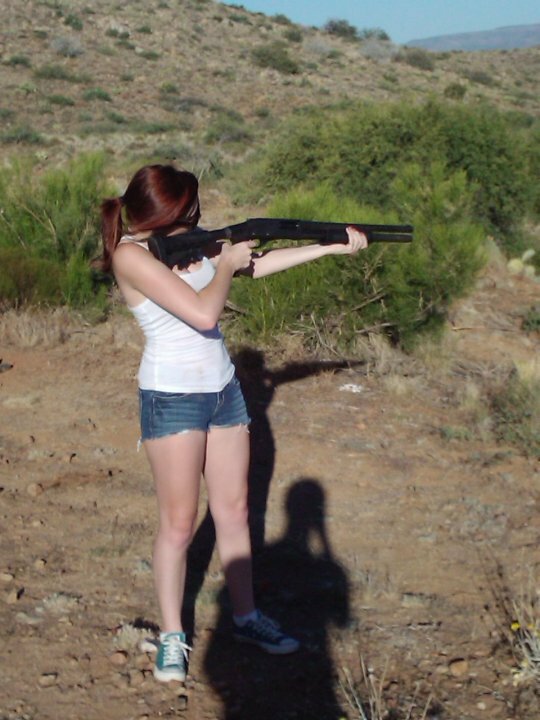 That being said, she shot the feces out of this gun. For a gun that doesn't fit her hand, she can really drill holes with it. As gun comes up into the line of sight*, the booger hook slips off the frame of the gun into the trigger guard and we're ready to push the bang button. *Bring the gun up into the line of sight, you should be looking at your target and your gun should come up into your vision. Don't drop your head down to look for your gun. You know where your arms are on your body. 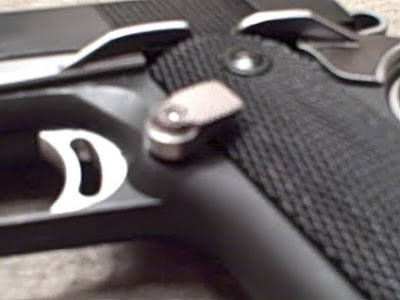 You know your gun is securely in your hands. Therefore if you raise your arms, with the gun in your hands, you will bring the gun up into your sight picture and won't have to go looking for it. Last week, after I had an abysmal day at the range, I put up a post about practice. Friday, my friend Tara (aka GunDiva II) and I went to the range for some of that desperately needed practice. She has a little five-shot revolver that she now carries in her purse and we decided that she needed practice drawing and firing from her purse. While I'm a big proponent of strapping your gun to your side, so that you always have control over it, there are a lot of women who are much more comfortable carrying in their purse. That's fine as long as you spend the time learning how to draw and fire from your purse, just like you do learning to draw and fire from a holster. You can't buy a gun (or take the one your well-meaning significant other gives you), throw it in your purse and expect to be able to find and use it when the feces hits the air circulating device. The first thing we did was take a look at how she normally carries her purse. She carries it over her left shoulder, hanging straight down. She's a right-handed shooter, so in order for her to draw from her purse, she had to perform a cross draw. Luckily, the zipper on her purse had two pulls, so we arranged them so that one pull was secured to her strap and only the other pull would work to open her purse. Once we had it arranged the way we thought we wanted it, she practiced holding her front strap with her right hand, while pulling open the zipper with her left. With her left hand out of the way, and her purse open, she then slipped her right hand into her purse and grasped her gun. She was careful to never cross herself with the muzzle of the gun while she drew from her purse. Now this is where attitude comes in. Without even realizing it, the moment her hand closed over her gun, her whole demeanor changed. She took a step forward as she presented her gun and continued to move forward as she squeezed off all five rounds. No matter how big you are; if you're a predator hunting what looks like easy prey and that prey attacks back, you're going to re-think your choice. Over and over, Tara practiced presenting from her purse and dry-firing at the target until she felt comfortable to go live. Her first run-through from beginning to end took less than three seconds. That's three seconds to secure and unzip her purse, get a good grip on the gun, present and squeeze off all five rounds while moving forward. Were all five rounds in a nice half-inch circle? Nope. 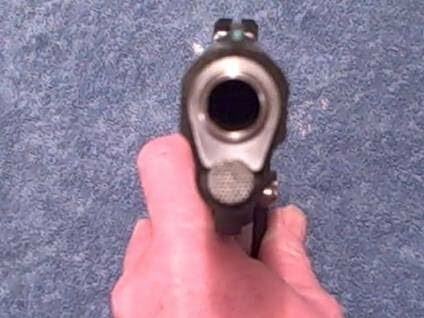 Were all five rounds in center mass? You betcha. Next week when we go to the range, I'll be sure to take my video camera. Until then, keep on practicing. Girls, do yourselves a favor. Don't ever pass up the opportunity to go to the range. Shooting is a perishable skill and takes constant re-inforcement. Muscle memory is all well and good, but there is nothing like putting lead down range. I, myself, have been remiss in partaking in much-needed practice. When I was shooting regularly a couple of years ago, I finished in the top ten (often top five) in our monthly Defensive Pistol competitions. At one point, my instructor said that I could draw almost faster than the eye can see. I was good. There wasn't a gun that I wouldn't shoot and I was always first to the line to try something new. The key word in those preceding sentences: was. I went to out with RockCrawlinChef and his work buddies today for a day of shooting. It was fabulous - eventually. I limp-wristed my pistol and had some feed problems; I slapped the trigger and threw my rounds; I second guessed my sight picture; I made mistakes I haven't made in years. And why? Not enough range time. Lack of confidence. Used to be, I *knew* that I was one of the best at the range. I know, that even without range time, I can kill whatever I point my gun at. However, I'd like to do it with only one or two rounds, not one or two magazines. Last year for a wedding present, one of my shooting buddies gave us a Remington 700 in .223. It lay dormant under our bed until today. 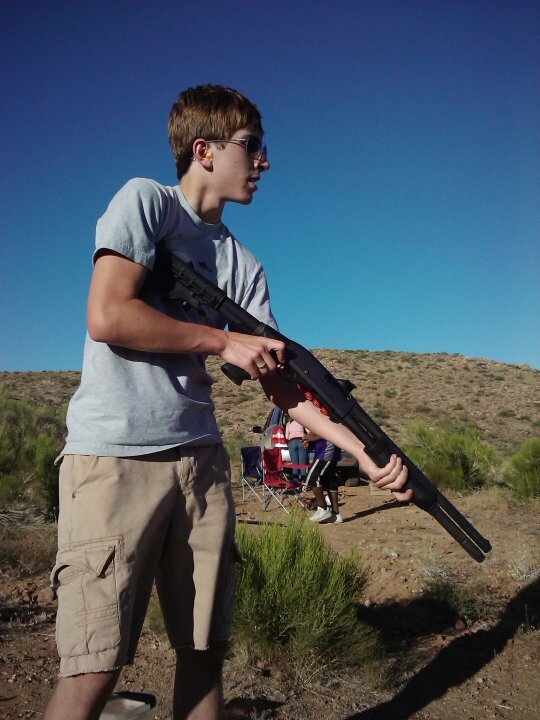 Last year for my birthday, RCC gave me a 12 gauge Remington 870. It stood dormant in the closet until today. The GunDiva of old would never have allowed two perfectly good guns to go neglected for a year. I don't know what happened to the old GunDiva, but I'm ready to have her back. 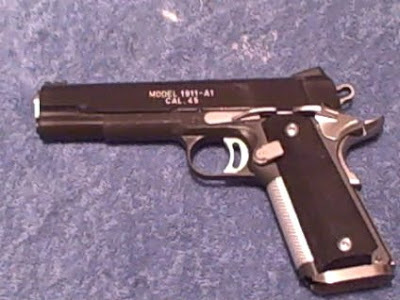 I'll be making a point to get to the range as often as possible - at least once a week between now and September because I'm headed back to Defensive Pistol competition and that's going to take a lot of trigger time (and, sadly, some knuckle push-ups to get my wrist strength back) to not embarrass myself. So here's today's lesson: Practice, Practice, Practice. Time to get my booger hook out of my nose and onto my bang button. Dear Husband has agreed to be our teacher. This first video is a test, for me to learn how to accomplish this complicated task. Lee Lofland over at Graveyard Shift has an amazing, thought provoking post up right now called "Shoot to wound? No way!" I suggest y'all head over to his place and read what he's got to say and remember what I tell my children and my shooting friends: "Pulling a gun is not a threat - it's a promise that you are willing and able to take another's life." The bill that has been introduced expecting Police Officers to shoot to wound is absolutely absurd. You shoot to neutralize the threat and if neutralizing the threat means that the bad guy dies, then that's just a natural consequence of their behavior. Betcha thought I'd never get around to the end of this little who am I? Let's see, I started it to give you some insight to how I became who I am. Finally, after eight million posts, I'm getting there and it may be a little anti-climactic. Even though I went around armed all the time, I hadn't really committed myself to using that little gun. I thought I could, but I didn't know I could. One day, the kids and I were on our way to a soccer game and we pulled into a McDonald's drive-thru for a rare treat (remember, broke single mother - McDonald's for dinner was like steak and lobster). I had noticed a car had followed us off of the highway and into the drive-thru, but I didn't think a whole lot about it because everyone stops at that McDonald's. I pulled up to the order box and noticed that the driver of the car behind us got out of the car and my heart stopped. Crazy B sauntered up to my car as I looked around for an escape. There was a line of cars in front of me and his car parked behind; there was no escape. I yelled into the order box for them to call the police. They answered with a "what?". I yelled to call the police a second time and then turned toward Crazy B. His stalking in the past had been a major annoyance, but I'd never been truly frightened until that moment. In that split second, I flipped from thinking I could kill someone to knowing I could do it. The problem was that since I was going to play in a soccer game, I left the Noisy Cricket at home. I couldn't play with it strapped to my hip and I sure the hell wasn't going to leave it unsecured in my soccer bag on the sideline. I became a broken record, refusing to get pulled into a conversation with Crazy B. I just kept repeating that he needed to leave me alone and go away. The kids were absolutely silent and, I'm sure, terrified. He finally turned and left, backing out of the drive-thru. I placed my order and drove to the pay window, still shaken up, but managed to not kill the kid working the drive up for not calling the police. I couldn't get out of there and to my game fast enough. I made sure that he didn't follow us onto the highway as I sped off to my game. Crazy B laid low for a few weeks before showing up at my front door (we'd moved and I hadn't forwarded anything, so he should not have known where I lived). I met him at the door with the Noisy Cricket and told him on no uncertain terms that he would NOT be bothering me or the kids again and that the next time he showed up, I would kill him. I meant it, and he knew I meant it. In retrospect, he did me a favor by trapping me in the drive-thru. He made me, in that moment, commit to defending myself. Through that terrifying episode, he gave me the confidence I needed to protect myself and the heathi. Until recently, CSU banned CCW permit holders from carrying concealed on campus. Please don't ask if I ever followed the CSU "law" on this one, because you all know the answer to that. They've recently come to their senses. The CSU people are not happy about it, but given the option of facing a long, expensive lawsuit levied against them by Rocky Mountain Gun Owners (RMGO) or rescinding the ban, they chose wisely. The could have bowed out gracefully (which they chose to do) or paid a lot of money to fight it and been forced to do it anyway. Well, actually I do. I saw this little gem pop up on MSN today: Man Stabs 28 Children. Really? I know that the mental health system is shaky at best in China and that they're blaming this recent rash of attacks on the mentally ill. But really? Attacking four year-olds? 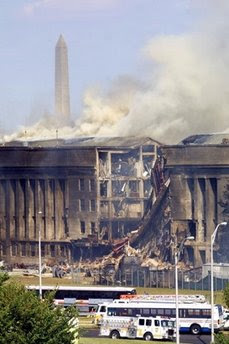 The school officials have admitted that security could be improved. You think? A man walked into a kindergarten, slashed his way through a security guard and two teachers before carving up the kids. Now, I know some of you are expecting me to jump on here and spout off that the teachers or security guards should have been armed. After all, I am GunDiva. But guess what? I'm not going to. I'm not sure that this could have/would have been prevented by an armed employee. The attacker was subdued by a delivery man with a fire extinguisher. Remember, that our best defense is our brain. The delivery man used his brain and a handy weapon to subdue the attacker. Anything - and I mean anything - can be used as a weapon. We just need to open our eyes and our minds. Just because the bad guys have a gun (or a knife) and we don't doesn't mean the battle is over, it just means we need to use our brains and be a little more inventive in our choice of defensive weapons. I'm not trying to scare anyone by saying that anything can be used as a weapon; that's not my point at all. We shouldn't be afraid because anything can be used as a weapon, we should be empowered! And, wow, this post went in a totally different direction than I thought it would, but I'm not changing a thing about it. I will, however, get to where I thought I was going. One of the best gifts we can give our children is the gift of knowing that they can defend themselves no matter how small they are. The confidence that they can do something about "bad guys" is the best gift we can give them. The thing that broke my heart about this attack (besides the fact that some deranged madman attacked four year-olds) is that, by culture, Chinese children are obedient and subordinate. Sometimes, it's good for children to be disobedient and insubordinate. Of course, news like this is bound to make any parent anxious. Heck, any news at all is bound to make parents anxious. I am an unabashed fan of Gavin de Becker's work. When Crazy B was stalking me (yes, I know we haven't gotten to that point yet), I found a lot of comfort in Mr. de Becker's work. As my children became more independent and wanted to do things "all by themselves", I found comfort in Mr. de Becker's work. Because of that, I'm going to give away a copy of THE GIFT OF FEAR and a copy of PROTECTING THE GIFT to two of our commenters. Be sure to comment before midnight (MST) on Sunday, May 2nd to be eligible for the drawing. Those of you who have read de Becker will think it's rather funny that I'm touting his books because he comes across as very anti-gun. He's a man who carries a gun for a living and hires people who carry guns for living. My interpretation (I've never had the opportunity to meet the man face-to-face) is that he's anti-gun in the respect that people buy guns to "protect themselves", but are not fully trained or mentally capable of taking another's life. In that, I support him. There is a definite mindset about carrying for protection, but we'll explore that at another time.